Red, white, blue | Outfits - Do You Speak Gossip?Do You Speak Gossip? Finishing with the looks we photographed at the end of last month, here’s one in one of my favorite color combos: Red, white and blue. Blue and white are a classic color palette for the Greek summer, while red adds the right pop of color to the mix. A very simple outfit combined with heels, for a quite windy day next to the sea. 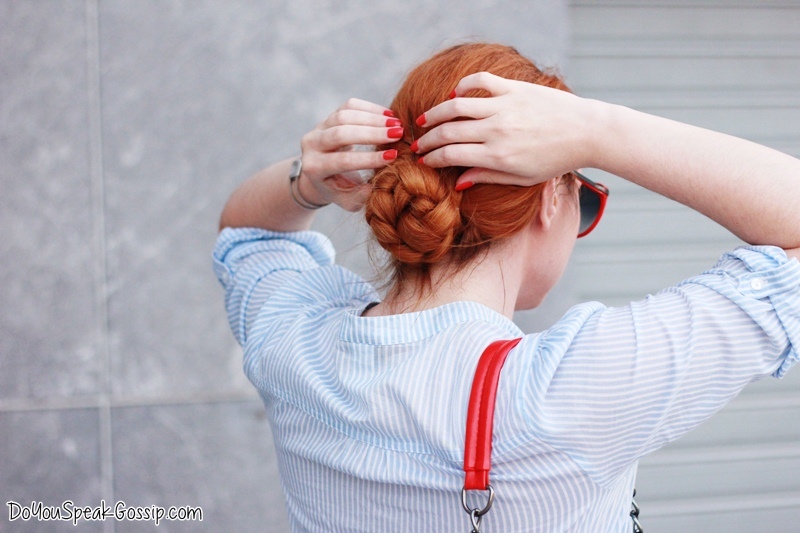 And what all windy days need is nice updos to keep our hair out of our face. Here, I’m trying the braided bun, which I quite liked. What do you think of this look? 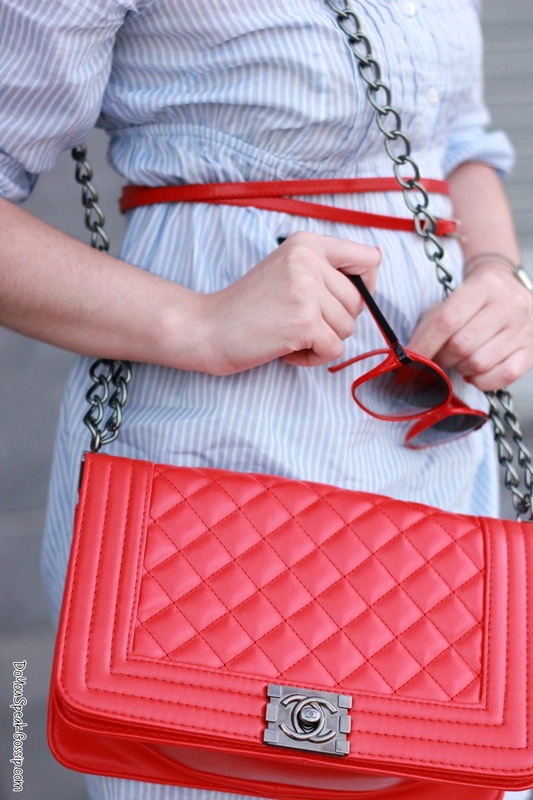 Loved the red details on your outfit! Ωραίο outfit Μαρκέλλα μου 🙂 Μου άρεσε που έδωσες χρώμα με τα κόκκινα παπούτσια και τσάντα! !